First time visitors to Macau are astonished by the widespread building works. Even frequent visitors can’t help marvel at building on an epic scale. I first went to Macau in 1996 when it was a sleepy Portuguese colony. Then the primary industries were tourism, fishing and shipping. The nation consisted of the peninsula of Macau and two islands – Taipa and Coloane. There were bullfights and firework shows. The Lisboa Casino hadn’t been updated since it featured in James Bond film “The Man with the Golden Gun“. The Bella Vista Hotel had a renowned restaurant and a few suites for hire. Having been under Portuguese administration for over 400 years, Macau was a tranquil retreat. Look at the map today – Coloane and Taipa have been merged into a super-island with a new section called Cotai jammed in-between. This reclaimed land is home to Las Vegas-inspired hotels like The Venetian, The Sands, Galaxy, City of Dreams and more under construction. The Macau Peninsula has a brand-new Lisboa (along with the Roger Moore retro original) as well as an MGM, Wynns, Sands and more. Last year Macau recorded seven times the gaming revenue of Las Vegas. And they’ve not finished construction. As the first quarter of 2015 trading came to a close, on a trailing 12-month basis, the average performance of Macau gaming stocks was down 45% year over year. Macau gaming’s February 2015 revenue was still 2.7 times that of the state of Nevada, yet, unlike Las Vegas, Macau profits depend predominately on gaming revenue. Where have all the gamblers gone? In addition to bringing down many top mainland officials, the campaign has scared off highrollers and decimated the city’s junket system, they say. Junket operators are middlemen who use underground banking networks to facilitate high-stakes gambling. Even though people are still coming to Macau, the majority of that growth in visitation is coming from low-spending tour groups, said Wells Fargo analyst Cameron McKnight in a report last week. Another factor is a new law that bans smoking in casinos. 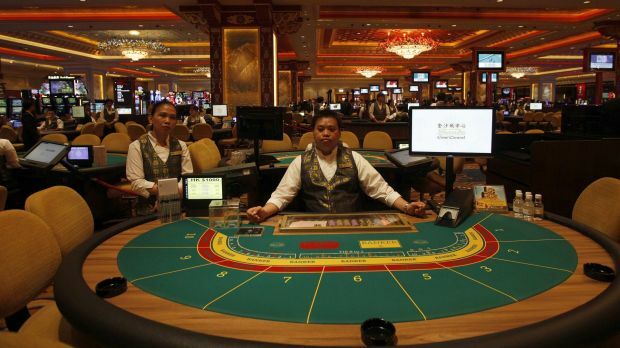 For every prediction of doom, there are others willing to bet on the future of Macau. My recent visit showed an empty casino one night, and another jam-packed the following afternoon. 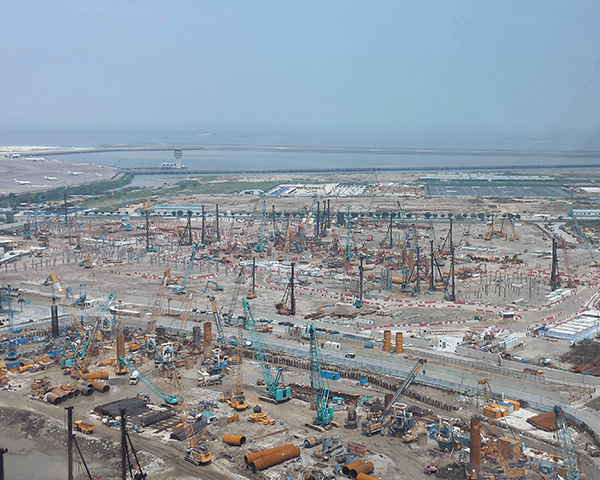 Cranes and building projects choke Cotai, and splendid malls and restaurants are packed with spenders. If anything, the drop-off in gaming in Macau is a temporary aberration. In Macau it’s smart to bet on the house. Just a quick note to tell you I very much enjoyed your blog. I visited Hong Kong in the 1980s and I am sure I would not recognize the area today. ← “The Next Economic Disaster” by Richard Vague – Agree or Disagree?